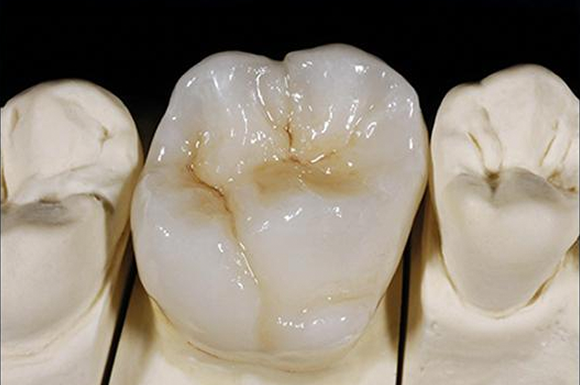 The monolithic zirconia that meets the needs of today’s dentistry. Dentistry has long awaited the arrival of an all-ceramic that is both esthetic and durable enough to be considered as a legitimate alternative to porcelain-fused-to-metal (PFM) and gold restorations. From single crown, bridge, to screw-retained implant crown, ZirXTREME™ meets the requirements that you have been looking for in a posterior all-ceramic restoration with a nice esthetic result. Designed and milled using CAD/CAM technology. 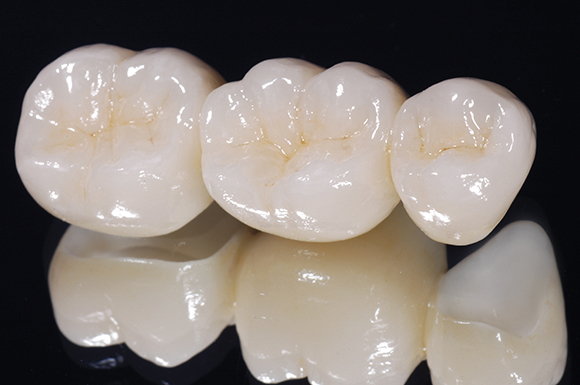 ZirXTREME™ monolithic zirconia is a full zirconia restoration that does not incorporate vulnerable layering porcelain into the equation. The weak link in all PFM or all-ceramic systems is the layering porcelain that typically has a flexural strength around 100 MPa. Because ZirXTREME™ does not use layering porcelains, it is stronger than all porcelain fused to any substructure material, metal or all-ceramic. With 1100 MPa flexural strength, ZirXTREME™ more than meets the strength requirements in posterior dentistry.